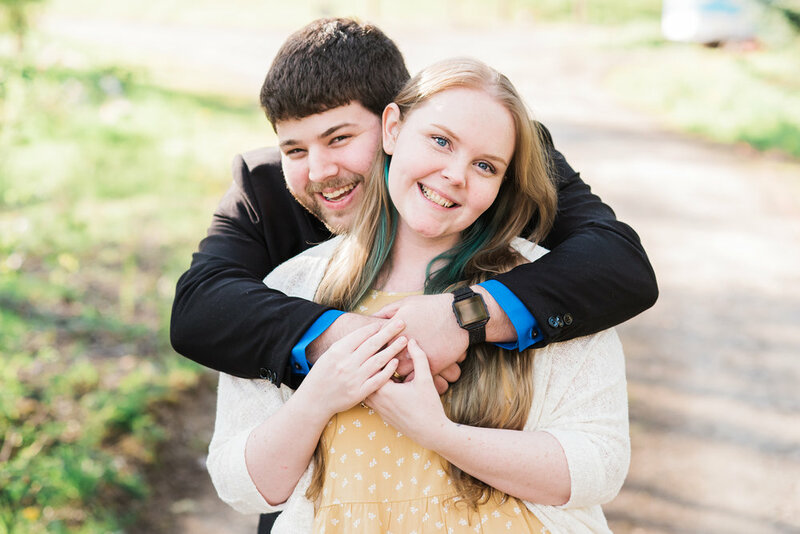 Joshua and Lauren celebrated their wedding engagement with two separate photography sessions. The first took place in downtown Tacoma, in the colorful urban area that surrounds the Wink Studio. We love the variety of color and texture we can get just outside our door! Starting out at Dorkey’s Arcade the couple enjoyed a few old school arcade games - after all the couple that plays together, stays together! It’s so fun to have a couple who chooses a unique location, indoor or out for their session. 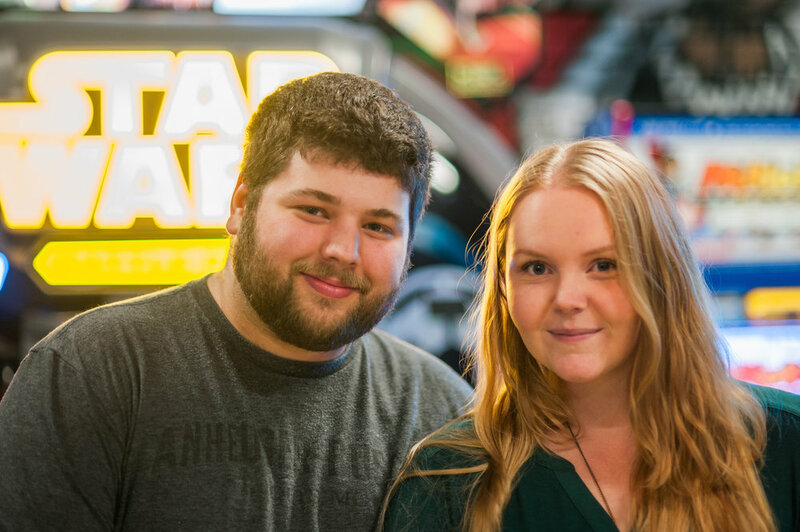 This arcade is colorful and fun - it represents something that Joshua and Lauren both love, and his has a hip, old school vibe! From the arcade we hit a few of our favorite spots along Pacific Avenue and in Fireman’s Park - a little hidden gem that overlooks the Port of Tacoma. 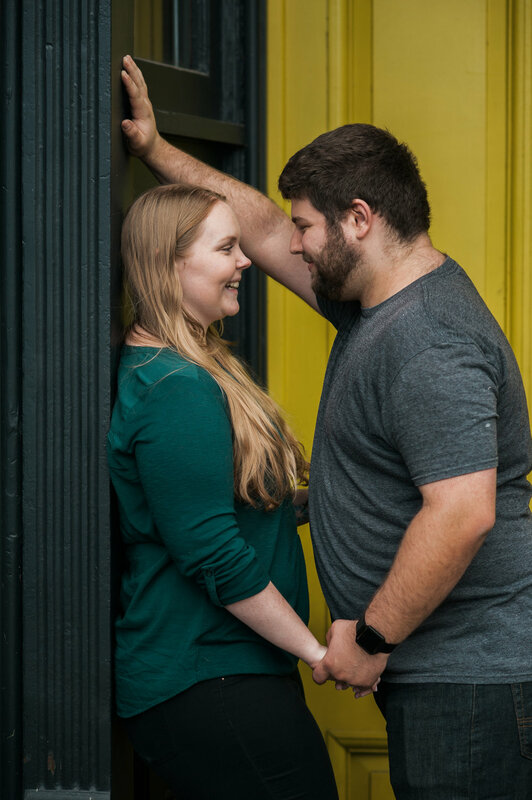 I think Lauren’s sweater perfectly coordinates with the citrus colored door we discovered during their engagement session. The second half of their photos were taken during Spring time. We met at Mineral Lake Lodge, a rustic Bed & Breakfast located in the foothills of Mount Rainier, just outside of Elbe Washington. The Bed & Breakfast offers intimate rooms, as well as teepees for overnight guests. The lush forested areas, and long grasses surrounded the Lodge were a beautiful landscape and background for a dynamic light filled photography session. We created some really gorgeous, romantic photos when the sun was setting, and we made our way down to the river that slowly meanders past the Lodge.